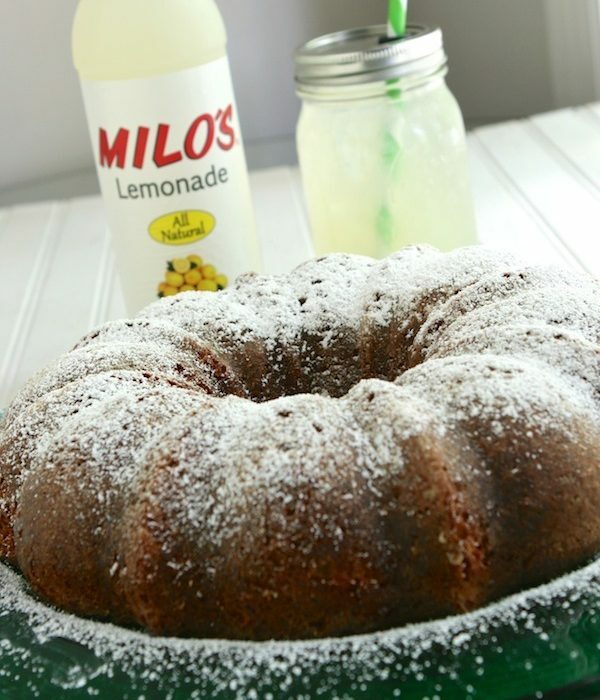 Milo's Lemonade Poppy Seed Pound Cake - Milo's Tea Company, Inc. Combine the box lemon cake mix, box lemon instant pudding mix, vegetable oil, eggs and 1 cup Milo's All Natural Lemonade and beat until mixed well. Don't over beat. Fold into a greased and floured tube/bundt pan. Bake at 350°F for 40 minutes or until a toothpick inserted in center comes out clean and center of cake springs back to touch. Let cake stand 10 minutes. Turn onto a cake plate. 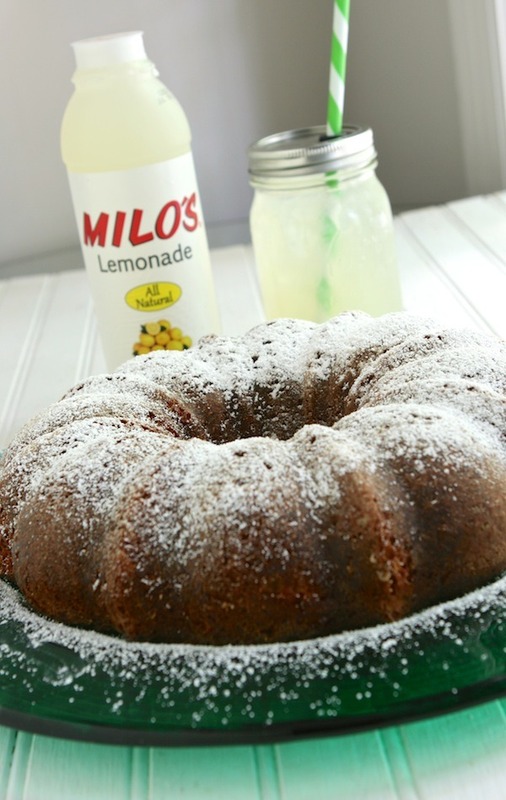 Glaze: In small saucepan on cook top, combine sugar, ½ cup Milo's All Natural Lemonade & lemon extract. Bring to a rolling boil. Pour over warm cake. Let sit 30 minutes. Sift powdered sugar over the top, if desired.